Every year since we’ve been married, I’ve added a new photo Christmas ornament to our collection. One for us, and one for each kid once they showed up to the party. When we’ve been married for 50 years, our whole tree is going to be a giant scrapbook and I love that! (I really try to focus our Christmas on family, and away from all the commercialism.) This year I didn’t like any of the ornaments I saw in the stores, and it occurred to me that I could MAKE them. These were fun! 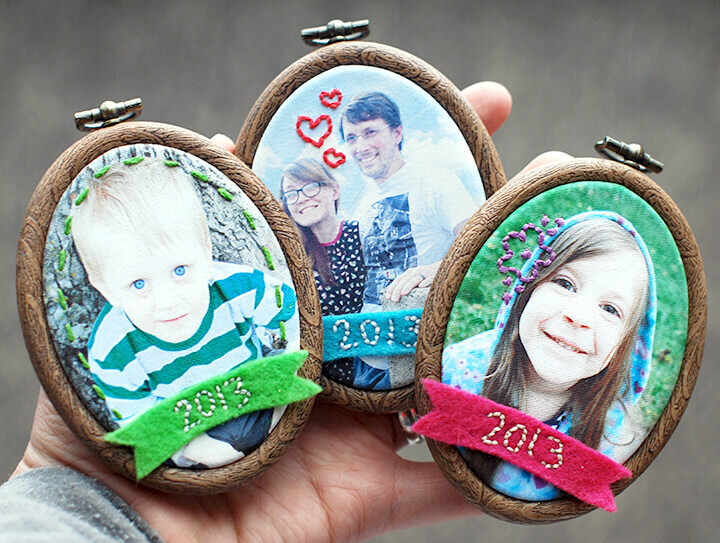 Iron on material, embroidery hoops and a bit of embellishment and I’ve got three super cute photo ornaments. I think I’ll make them from now on. Ok, I’m going to totally change the topic now. My birthday is this Friday! 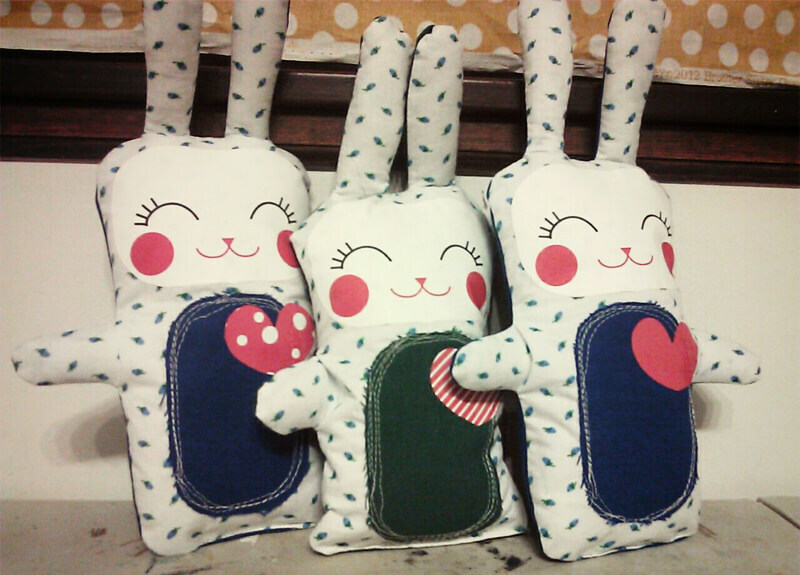 Last year I had a super fun Birthday Crafty Night and we made cute stuffed bunnies for Craft Hope. I’m excited to do it again this year, only this time Craft Hope is collecting capes for kids. (Read more about the project here) My absolute favorite thing is creative service. 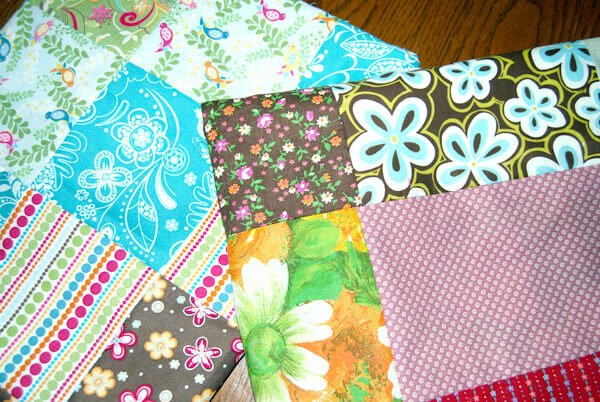 I’ll be hosting another craft night at my house this Friday. If you’re local, come on by! And if you’re not local, make a cape and send me a picture! There are SO MANY cape tutorials out there. Here is a fantastic Pinterest Board that I know I’ll be browsing through this week. Although I’m a big fan of the no-sew t-shirt capes. Have you ever made one? This tutorial is similar to the way I’ve done them. Super easy! My goal is to make 10 capes. Who’s with me? I am aiming for 10 as well, but had to move ur party to sat. I’m so excited that you’re joining in! What time are you doing it? It would be fun to video chat We are going to see The Hobbit Saturday, not sure what time.